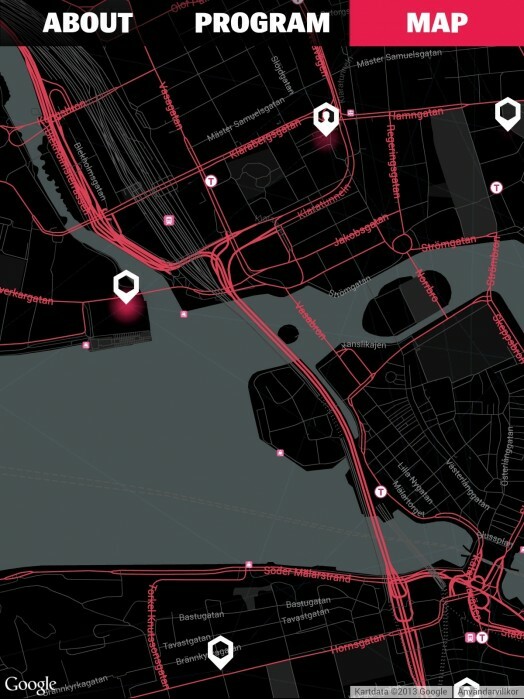 Red Bull asked us to come up with something mobile and social for their Red Bull Weekender event in Stockholm. We love music, and planned on going to this event anyway, so figuring out the functionality was very fun and actually pretty easy. For non FB-connected users we pretty much show a lineup, in which the user can star certain gigs. In addition to this we use the GPS to show what the nearest gig is. FB-connected users get a deeper experience, in which the user’s friends stars pops up under each event. We also wanted to give the user some pointers on which gigs to go to. A lot of the artists are fairly new and unknown for the general public, so getting some pointers couldn’t be bad right? We decided to fetch all the user’s FB likes from the dawn of time and cross reference these for matches with similar artists in the lineup. It won’t be 100% correct for most users, but it’s a nudge in the right direction. Every time someone visits the site, we save their coordinates. This data is then used to make a heat map on top of Google Maps, so everyone can see where the most action is at the moment. 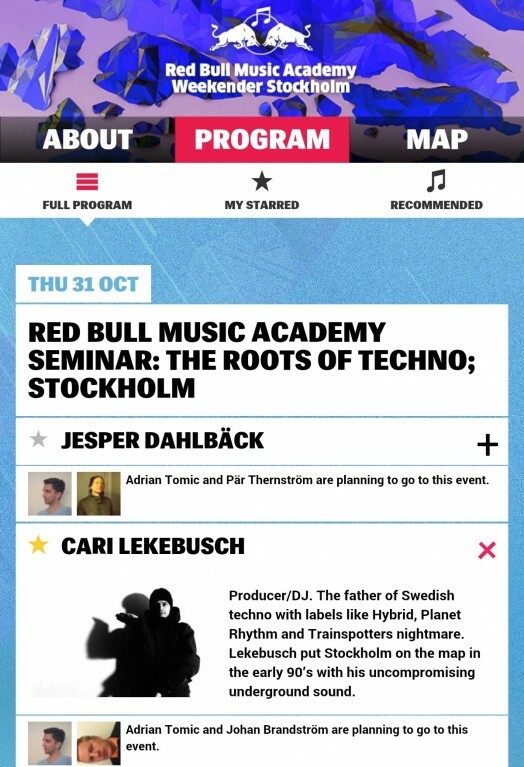 The mobile website is currently accessible on www.redbull.se/weekender, for mobile devices only. Technologies used in this production: Slim PHP, Redbean ORM, jQuery, Google Maps, Facebook Social Graph API, Grunt, Sass, Compass. Next Next post: What WP plugins does a site use? Our tool have the answer!